Peaches and Petals: Time for a NEW coupon code! 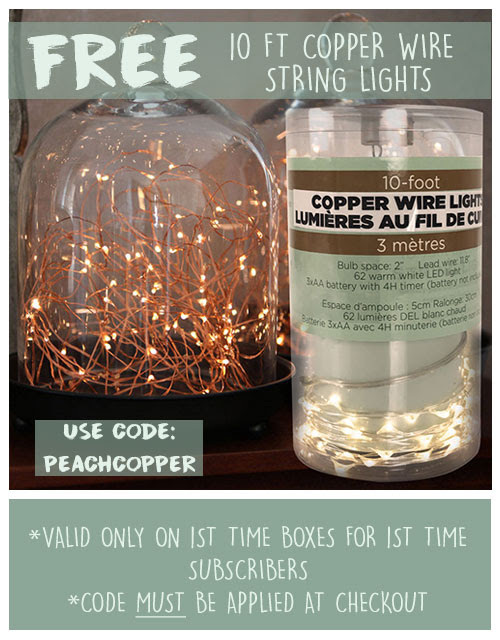 New subscribers can use PEACHCOPPER on their first order to receive these pretty copper wire lights! What is Peaches and Petals? 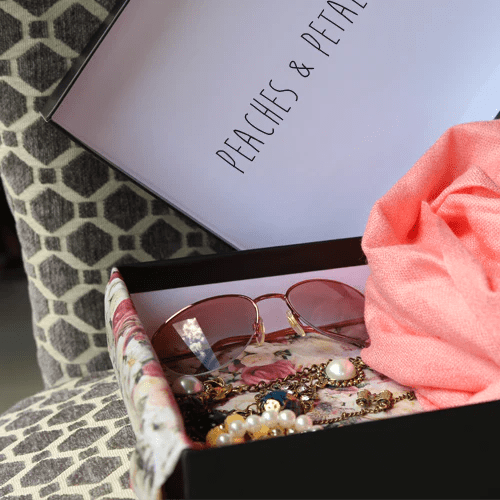 Peaches and Petals is a member based monthly subscription service that hand-curates each box with items that exemplify the woman who’s not afraid of adventure. She’s open-minded, free-spirited, and loves relentlessly. Each box is delivered monthly. With a Monthly Subscription to Peaches + Petals, you or your recipient will receive a new shipment each month curated with lifestyle items to try out. We take the extra step to really make sure each box is full of items you will use, love, and share with your family and friends. What do you think about Peaches and Petals? ← e.l.f. : Enjoy FREE SHIPPING on all orders! Today Only! !